A mosque won an unusual court battle on Wednesday against an ultraconservative Salafist member of the congregation regarded as disruptive and, in an apparent first for Muslims, used France's 1905 law guaranteeing secularism to argue its case. A court ruled in favor of the small Oullins mosque on the edge of Lyon. It convicted Faouzi Saidi, 51, and fined him 1,500 euros ($1,640) with 500 euros suspended. The action by the mosque was a sign of the growing concern over Salafis who are mostly peaceful, but a minority who follow the Salafi doctrine can veer into extremism. Saidi, contacted by telephone, protested the decision as unjust, saying his only error was to "have a big mouth." "I don't understand why I've been convicted," he said, while conceding he considered one man who served briefly as imam as incompetent, saying he could not even speak Arabic. "I practice religion as it is prescribed," he said. The events occurred in 2014. Saidi said he was banished from the mosque. "We don't accept someone who gives ideas to others," said Ahmed Belhay, president of the association that runs the mosque, and filed the complaint against Saidi. "We have an Islam for everyone." Mosque lawyer Mathieu Allard said the court found Saidi guilty of being disruptive by criticizing the imam, holding parallel prayers and preaching his ultraconservative Salafist brand of Islam to converted Muslims. The 1905 law is the mainstay of French bans on headscarves in classrooms and face-covering veils in streets. But it also provides for legal recourse if the ability to express freedom of conscience is compromised. Allard he found no instance in which that aspect of the law was invoked in cases involving Muslims. It was apparently last used in court in 1980 after drunkards upset a midnight Christmas Mass, and in 1911 after a priest conducting a funeral service criticized the deceased - causing the shocked family to take their loved one elsewhere for burial. "The feeling of the mosque association is a sense of failure to have to have had to call on justice" to settle the affair, said Allard. A complaint was filed only because a dialogue was impossible, he said. "We know these people (Salafis) will keep saying the same things ... outside the official mosque,." Allard said. 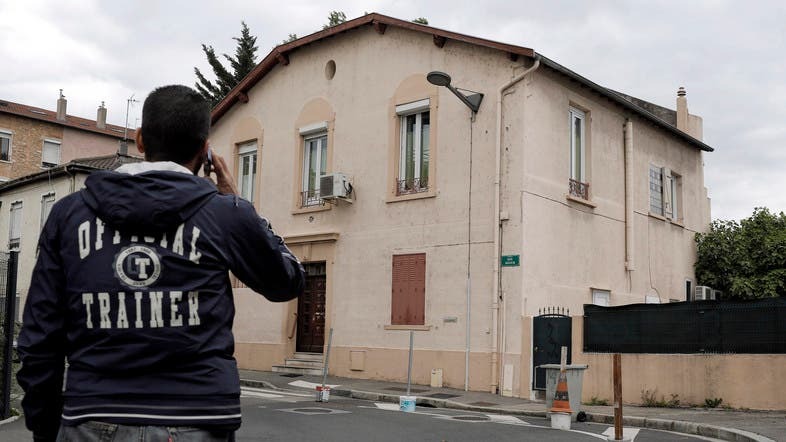 France monitors mosques to guard against radical preaching and keeps a watch on the activities of Salafis. It has pressed forward with a program to train imams to guard against outside influence. The mosque claimed Saidi had set himself up as an imam in a period when the mosque had no official prayer leader. However, Saidi contends he held parallel prayers in the mosque only once. But suspicion deepened when Saidi tried to procure attestations for converted youth that they were "good Muslims." That raised special concern as some French youth head to Syria to join the Islamic State group. Saidi denied that was his intention, saying he was lending a hand to youth who wanted to visit Saudi Arabia which demands such certificates - and has a strong influence over Salafis. "We're paying attention to everything now," said Belhay, who runs the mosque association. "I think other mosques are doing so, too."